THE Papua New Guinea men’s side need to finish as the highest non-core nation at the Oceania 7s (Nov 9-10) in order to qualify for three World Sevens Series legs. The Oceania nations who have pre-qualified for the World Series are Australia, Fiji, New Zealand and Samoa. Tonga and the Cook Islands are the nations who are expected to be their biggest threats to snatching a qualifying spot at the tournament which kicks off at ANZ Stadium in Suva, Fiji, tomorrow. PNG would qualify for the Hamilton 7s (Jan 26-27), Sydney 7s (Feb 2-3) and Hong Kong 7s (April 5-7). The Mintt Pukpuks left for Fiji on Tuesday from Sydney after taking part at the Western Sydney 7s last week. Joseph said the Western Sydney 7s was a valuable lead-up to the Oceania 7s with a lot at stake for the Pukpuks. PNG are in Pool A with hosts Fiji and the Solomon Islands and are expected to finish second in that group. The two-day tournament has13 nations in four pools: Pool A – Fiji, PNG, Solomon Islands; Pool B – New Zealand, New Caledonia, Nauru; Pool C – Australia, Cook Islands, Vanuatu; Pool D – Samoa, Tonga, Niue, Tuvalu. In the women’s division, ICTSI South Pacific Palais are in the same pool with Australia, Samoa and Nauru. 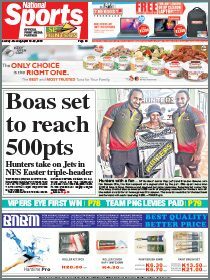 The Palais need to finish as the highest placed non-core team to qualify for the Word Sevens Series legs in Sydney and Hong Kong. Australia, New Zealand and Fiji have already qualified for the World Series. Joseph said he had confidence in both teams because their results from their lead-up match in Sydney were promising. “For the Pukpuk 7s team, they have played together for quite a while and they know each other’s strengths and weaknesses very well,” Joseph, a former sevens representative, said. “It is going to be hard playing against Fiji, Australia and few other top Pacific Island countries but I believe in coach Douglas Guise’s keenness to get something out of the boys that will at least put the team in a better position. Joseph said the Palais had new coach Paul Tietjens, who had a good track record with the current NSW Waratahs 7s side and had worked with the Samoan side as a part of the coaching staff as well as New Zealand provincial rugby with Bay of Plenty. “Paul (Tietjens) has already got a great result from the Palais at the Western Sydney 7s with the team making the cup final so I’m sure they’ll also be confident heading to the Oceania 7s,” Joseph said. 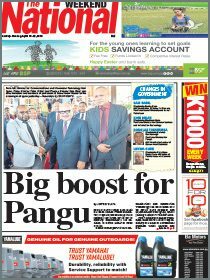 Pukpuks and Palais sponsors: ICTSI South Pacific, Kumul Petroleum Holdings Limited, Credit Corporation and Mintt. PNG Pukpuks 7s squad: 1. Henry Kalua, 2. Joseph Mocke, 3. Samuel Malambes, 4. Patrick Tatut, 5. Emmanuel Guise, 6. Hensley Peter, 7. Arthur Clement, 8. Emil Latumahina, 9. Freddy Rova, 10. William Tirang, 11. Dean Manale, 12. Himah Alu; Coach: Douglas Guise; Manager: Kapua Kapua; Physio: Hendriella Vilosi. PNG Palais 7s squad: 1. Helen Abau, 2. Geua Larry, 3. Marie Biyama, 4. Taiva Lavai, 5. Cassandra Sampson, 6. Joanne Lagona, 7. Chelsea Garesa, 8. Michaelyne Arumbi, 9. Kymlie Rapilla, 10. Fatima Rama, 11. Gwen Pokana, 12. Yolanda Gittins, 13. Marlugu Dixon, 14. Gemma Schnaubelt, 15. Anika Butler, 16. Melanie Kawa; Coach: Paul Tietjens; Manager: Ann Mooney. Fixtures: Sat, Nov 9 – Men: PNG v Solomon Islands (11.48am), PNG v Fiji (6.06pm); Women: Rd 1 – PNG v Samoa (9.42am), Rd 2 – PNG v Nauru (12.51pm), Rd 3 – PNG v Australia (4.21pm).